Lecoinmontagne is located in the Hautes Alpes in France since 1988, in the resort of Serre Chevalier . Experience, professionalism and dynamism . With these keywords, Lecoinmontagne store accompanies you for more than 30 years. 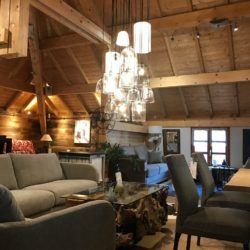 Over time, we combined traditional atmospheres with more modern trends that has adapted to changing decor in the mountains. Mixing nobles materials and contemporary forms, we always find unique pieces for the decoration or the furnishing of your interior. See and touch is the an important mean for you to project yourself into your home. 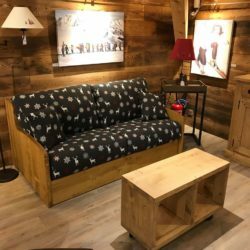 Whether you have a studio or a chalet, each of our sets will make you imagine your future home. Lecoinmontagne has always attached great importance to what must be a business close to its customers. Thanks to a loyal team of experienced employees , from advice to delivery, we make every effort for your satisfaction, with aquality service . 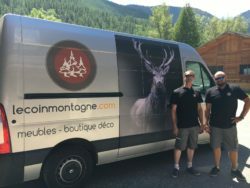 Throughout the valley of Serre Chevalier and its surroundings , our loyal deliverers Maxime and Michael travel to your home to ensure the delivery and assembly of your furniture which guarantees a safe delivery. 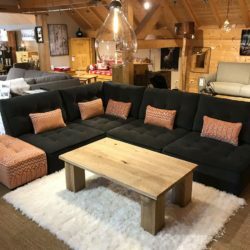 Selling a Furniture or Sofa is within the reach of any business. Selling the right product that fits your needs is another thing. We make it a point to inform our customers with professionalism and honesty. By listening you, talking about your project, your budget and technical constraints, we are looking for you the most suitables products. We offer a large furniture and decorative objects choice at various prices. We make the choice to highlight quality furniture , rather than always looking for lower prices. Some of our suppliers following us for more than 20 years, selected with high standards in terms of quality, originality and follow-up. In order to preserve originality and innovation, we regularly visit trade shows looking for new products. 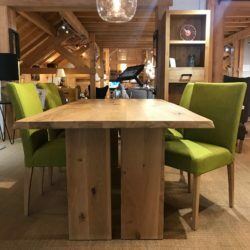 You will find both industrially manufactured furniture that ensure an optimal price level , such as rarer pieces whose manufacture is more handcrafted . Our pricing policy also includes a level of service , advice , professionalism and follow-up , which are fundamental elements, often neglected by ever lower prices policy of. For 30 years, our company is continuously growing thanks to the trust of our customers and the quality of our products. For us, a piece of furniture is an important part of your quality of life.